An Obama initiative (called the Employment Authorization Document) seems to have been designed to deter Americans from following a college-track in favor of a blue-collar-track in education. The regulatory hack is part of Obama’s broad immigration-boosting alliance with Fortune 500 Companies and the GOP’s establishment. In 2013 and 2014, most — but not all — of his prior amnesty and immigration plans were blocked by voters and judges, despite furious lobbying of the GOP by business. If Obama succeeds, he would make life tougher for young and middle-aged American graduates, who are already facing wage-cutting competition from the roughly 1 million white-collar guest-workers that the U.S. government allows to live in the United States. The extra foreign graduates would also deter young Americans from high-tech careers, and provide the Democratic Party with more donations and more voters. But Obama’s hack would also spotlight a large opportunity for any GOP 2016 candidate eager to win votes from America’s young college-grads, their parents and the hard-pressed professional sector. So far, only Donald Trump has seized the opportunity by promising to make foreign guest-workers more expensive to hire. If he is elected, and reforms the H-1B program, he’d likely transfer roughly 600,000 guest-worker jobs to American graduates. That’s almost equal to the number of Americans who graduate each year from college with skilled degrees. “ ‘The International Student and Scholar Office provides a recommendation, which the student sends in along with the rest of his or her application in order to receive an Employment Authorization Document,’ said Brendan O’Brien, director of ISSO. Nearly half of Cornell’s 4,500 international undergraduate students applied for OPT last year, according to O’Brien. This really gives hope to those Americans who scrimped and saved to get through a STEM college program, doesn’t it? For those of you that remember the Disney IT employees and their plight, you will know that this is not a new initiative (to import replacements for American high-paid STEM employees) by the Obama administration. “New documents reveal that the Obama administration has issued roughly 5.5 million work permits to non-citizens without Congressional authorization. The documents, obtained through a Freedom of Information Act request by the conservative-leaning Center for Immigration Studies demonstrate what critics call a ‘shadow’ or ‘parallel’ immigration system that infringes on employment opportunities for Americans, Fox News reported Saturday. The new information has prompted Alabama GOP Sen. Jeff Sessions to call for an investigation. The 5.5 million work permits issued by administrative action are an addition to the 5 million green cards and 3.5 million guest worker permits authorized by Congress during the 2009-2014 period, Fox reported. The center claims more than 957,200 people who entered the U.S. without being inspected were given permanent or ‘pre-permanent’ work permits. In addition, 23,215 parolees, nearly 1,000 stowaways and 49 people suspected of document fraud were also given permits, according to the study. “The Obama administration has since 2009 issued roughly 5.5 million work permits to non-citizens beyond what Congress has authorized, according to recently-released documents that critics of U.S. policy say reveals a ‘shadow’ or ‘parallel’ immigration system stifling wages and taking jobs from Americans. The information was obtained by the conservative-leaning Center for Immigration Studies through a Freedom of Information Act request and has prompted Alabama GOP Sen. Jeff Sessions to call for an investigation. Congress authorized an estimated 5 million green cards and 3.5 million guest worker permits during the 2009-2014 period, in addition to the 5.5 million issued by administration action, a Senate staffer said Wednesday. 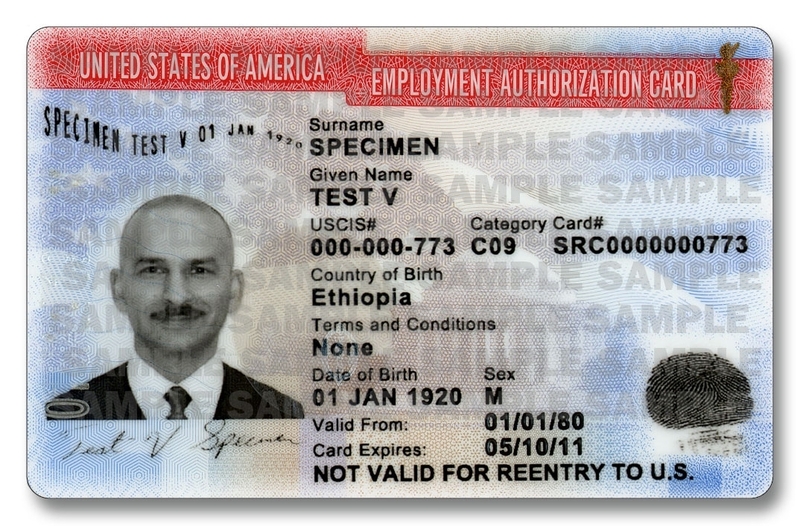 Jessica Vaughn, the study author and the center’s director of policy studies, argues the administration has discovered the power to issue work permits outside the limits set by Congress and that it has become ‘the vehicle’ for Obama’s executive actions — in which he has offered deferred deportation to millions of people now in the country illegally. The biggest group of recipients has been people entering the U.S. without being inspected. More than 957,200 of them received permanent or ‘pre-permanent’ work permits, according to the center. Others received those types of permits were 23,215 parolees, nearly 1,000 stowaways and 49 people suspected of document fraud. In addition, 531,692 students and 470,028 students received temporary work permits over that period. And those in both groups were neither originally admitted to the U.S. for employment nor qualified for admission, the group found. In order that we might all know that this tendency of Obama to give American jobs to immigrants is not a new concept for Obama, we all might review the Washington Times article Two-thirds of jobs go to immigrants during Obama’s four years, where they detail how 2/3 of all jobs created during the first term of Obama went to immigrants.